Rump•a•rooz® One Size Reusable Pocket Diapers are a revolutionary change to the face of cloth diapering today! This diaper is the perfect solution for daytime, nighttime, heavy wetters, eco-conscious parents or anyone who is looking for the best cloth diapering option for their little one. 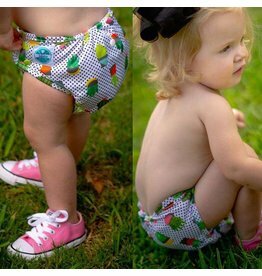 A one-size diaper that is the perfect combination of absorbency, natural fibers & functionality.